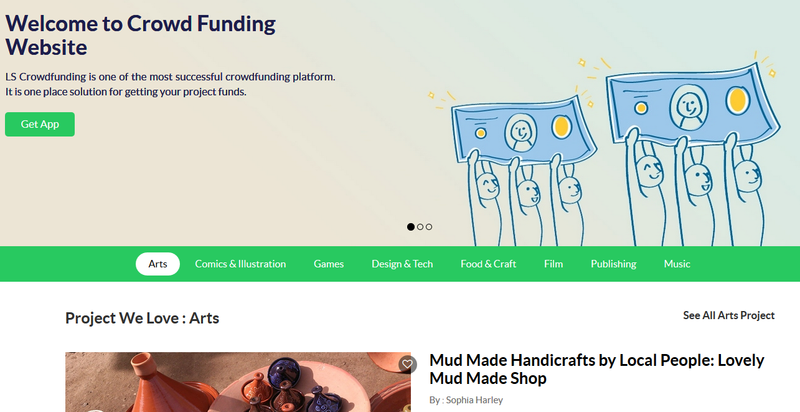 This CrowdFunding PHP Script can be used by any creators like artists, musicians, filmmakers, designers, developers, writers, painters, poets, gamers,etc to create their projects and get funds. Fundraisers can add collaborators and Backers can backed for projects. Using our Crowdfunding Script, Users will be able to create there own project as to get funds. 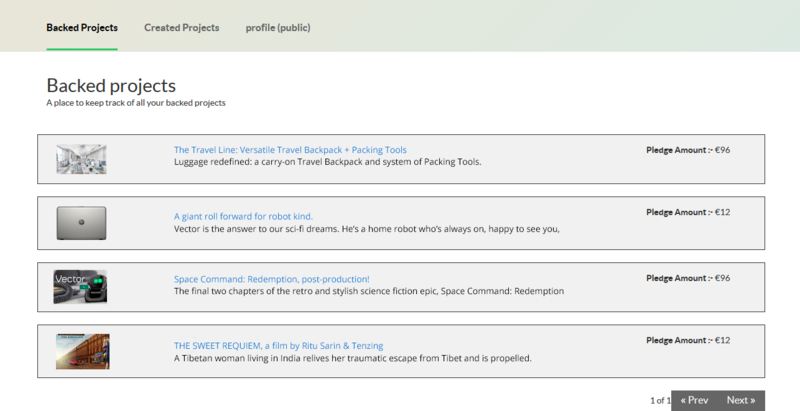 User will have several categories to select in order to create their project. Fundraisers can add collaborators on their project. Investors can also see the list of their backed project on which they have invested their funds and made payment via integrated payment gateway. 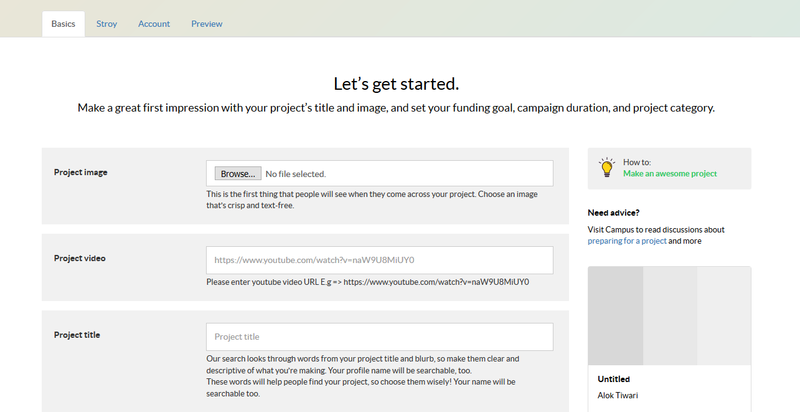 Fundraiser can create a project by adding project image, videos, title, Short blurb, category, sub-category, project location, funding duration, funding goals, project description, Risks & Challenges & FAQ. Fundraiser can view the list of Project posted & can manage(add/edit/delete) the Project. Fundraiser can activate/deactivate Projects. Fundraiser can view list of Collaborator & can manage(add/edit/delete) collaborators. Fundraiser can search for projects on the portal by entering the Keywords. Fundraiser can add filters for Project Category, Location & Sorting which will provide the relevant result. Fundraiser can view the profile of Collaborator and can add Collaborators if find suitable/relevant. Fundraiser can post the projects on the portal where Fundrasier can view how many Investors has Pledged, Funded, backers & from how many days long it's been posted. 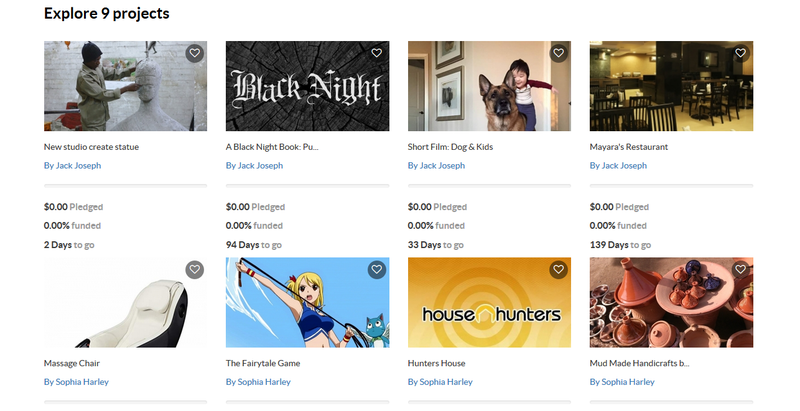 Fundraiser can view the list of posted projects with the current status of the project. Fundraiser can receive the notifications for the updates & can view/delete the notification. Fundraiser can the share the projects on other Social Media. Fundraiser can view the recent activities on the portal & keep track of the activities. Fundraiser can request for withdrawing fund & can keep track of the payments. Investor can back projects in found intresting. Investor can view the list of the projects & can also view details of the projects. Investor can send the messages to Fundraiser & can communicate with Fundraiser. Investor can view all the chat between him/her & Investor. Investor can view all the payments made by him/her & can manage it. Investor can view the list of Projects on the portal with detail description. Investor can view the Project Creators Profile & can contact them for project details. Investor can view their Profile & can manage (update) their profile. Investor can comment on the Project post on the Portal. Investor can save the projects and can view later & can remove from saved jobs. Investor can view details of each project which will display Name of Project Creator, Name of project, Video, Pledge, Backers, Location, Campaign, FAQ & Community. Investor can follow the Project Creator & Facebook Friends on the portal where the investor will be able to view their project post. Admin can login securely in portal using Email Address & Password. Admin can view dashboard (which will display the total number of counts for Users) & User Statistics. Admin can view list of Users & can manage(view/add/edit/delete) users. Admin can activate/deactivate Users. Admin can view list of Projects & can (view/add/edit/delete) Projects. Admin can activate/deactivate Projects & can backlist Projects. Admin can view the list of Withdraw request & can search withdraw request using title, from & to date etc. Admin can view all the Front End Pages & can view & edit the Pages. Admin can view the list of payment done by Investor for the projects. Admin can view the Commission for the projects & can edit it. Admin can activate/deactivate the commission. Admin can view list of blogs & can manage(view/add/edit/delete) Blogs. Admin can activate/deactivate blogs. Admin can view list of currency & can manage(add/edit/delete) it. Admin can activate/ deactivate currency. Admin can view list of Categories & SubCategories & can manage (add/edit/delete) Categories & SubCategories. Admin can activate/deactivate Categories & SubCategories. Admin can view their profile & can manage (edit/delete) Email, Username & Password. What does our Crowdfunding Product do for you ? Raise Funds For Creative Projects !!! Our Crowd Funding Script enables you to get started with your own Crowd Funding website similar to KickStarter & GoFundMe. Our Script is highly scalable, robust and user-friendly. 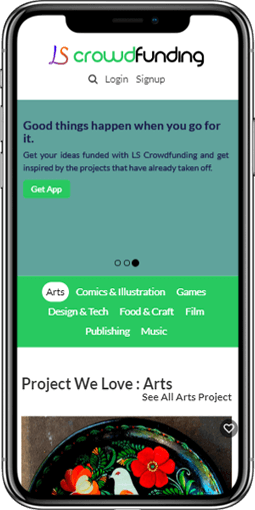 The product that we have developed is easy to use platform for your crowdfunding application development requirement and could be used for multiple areas of Arts, Comics, Dance, Design, Fashion, Medical, Volunteer, Education etc. The User who want to get fund on their project can select from multiple categories like Artists, Musicians, Filmmakers, Designers, Developers, Writers, Painters, Poets, Gamer, etc. Using this Crowd Funding PHP Script, your website users can create projects and get funding from the investors. Fundraisers can add collaborators on their project. Investors can search for projects. Investors can view the project details and contact the project creators. Users can view blogs over the site. If investors feel to invest on the project, they can fund the amount on the project and the payment gateway will process the transaction on the solution. Considering Ease to Use, Cost Effectiveness, Great Features, Security, It's the best and worth choice to start with LS Crowdfunding. 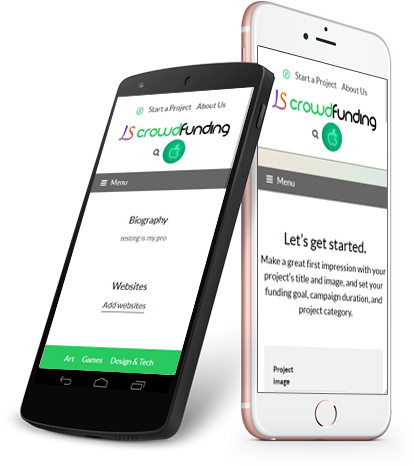 Use LS Crowdfunding script for building your fundraising software !!! 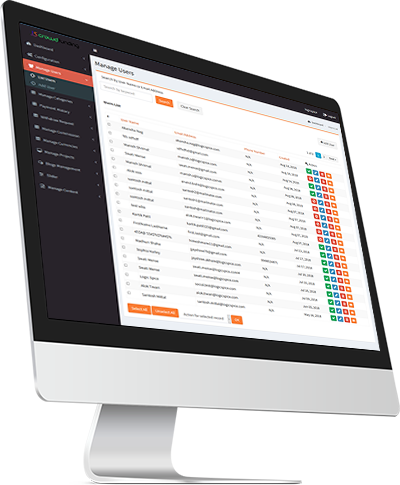 LogicSpice offers CrowdFunding Software that enables you to manage your investors for your projects through an automated online platform. We help you in creating your own CrowdFunding software. 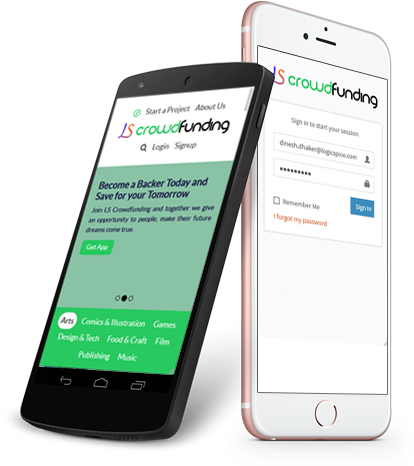 Our Readymade CrowdFunding Script helps you to launch this CrowdFunding Software in a quick time. "Best,User-Friendly Script Offered best solution for my project... Thanks LogicSpice Team !!! " "Its an exicting platform for funding your projects. I am pleased with My LogicSpice Experience." "Its incredible,powerful crowdfunding platform. 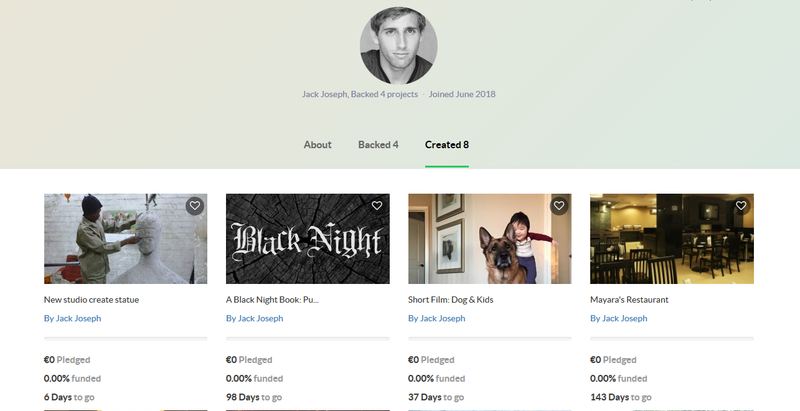 Nearly 50% projects funding I got from people found with LS Crowdfunding Script." Can we change the fees we charge as website owner? Yes, From the website admin panel, you can manage the charges, fees or commission. Why should I buy this script ? 1. Easy to use, User friendly Script with all the major features to the latest market trend. 5. Target Social network to spread awareness to your created project. It will facilitate users to view collaborators profile. Users can view following details about collaborator: Profile image icon,Name,Number of backed projects,Joined date,About,Backed. It will facilitate users to create project over the site. Users can create projects by specifying project details. It will facilitate users to search projects over the site. Users can search project by specifying keyword on search bar or they can search projects by categories. This will facilitate users to view list of their backed projects.It will facilitate users to back project over the site. Users can backed project by specifying pledged amount and click on continue.